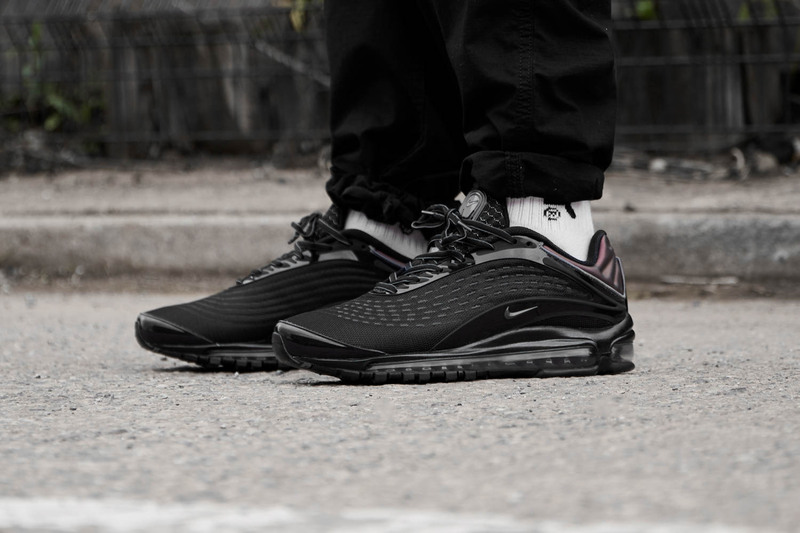 Re-entering the spotlight for it’s long awaited first retro release since ’99, the summer has seen Nike release the Deluxe in a host of colourful iterations. 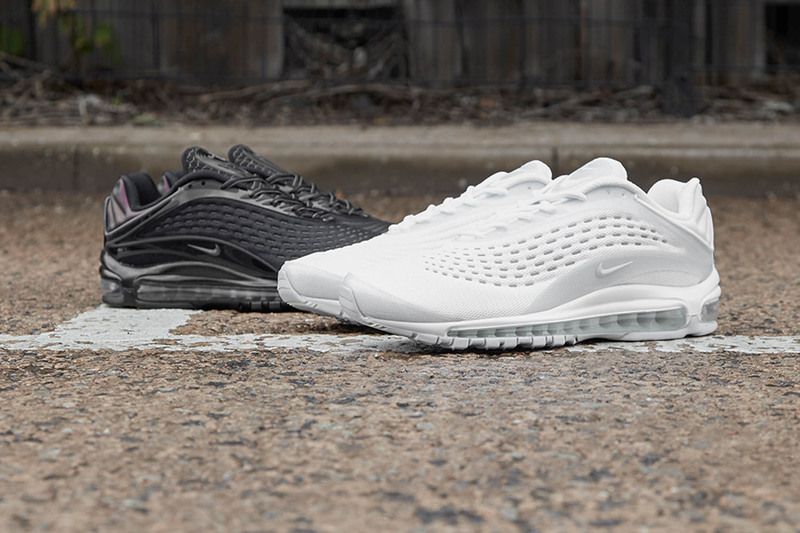 Just in time for the change in weather, the Air Max Deluxe returns in two, new subtler renditions. The same full length toolings as Tresser and Lozano’s previous masterpieces were applied to the Deluxe, with the maximum amount of pressurised air being contained within a sole unit at that time. 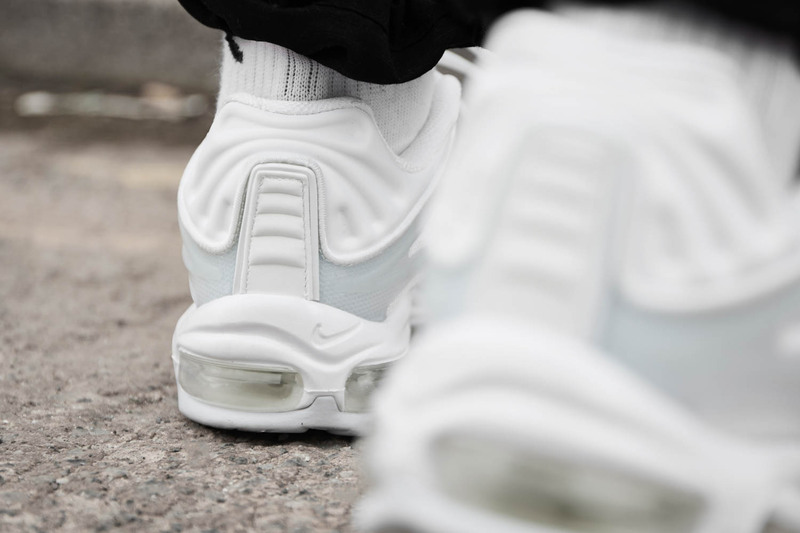 Wavey 3M hits ran down the lateral side of each foot, embedded into the graphic-printed nylon upper. Following on from the return of the OG colourway are two new simpler iterations. 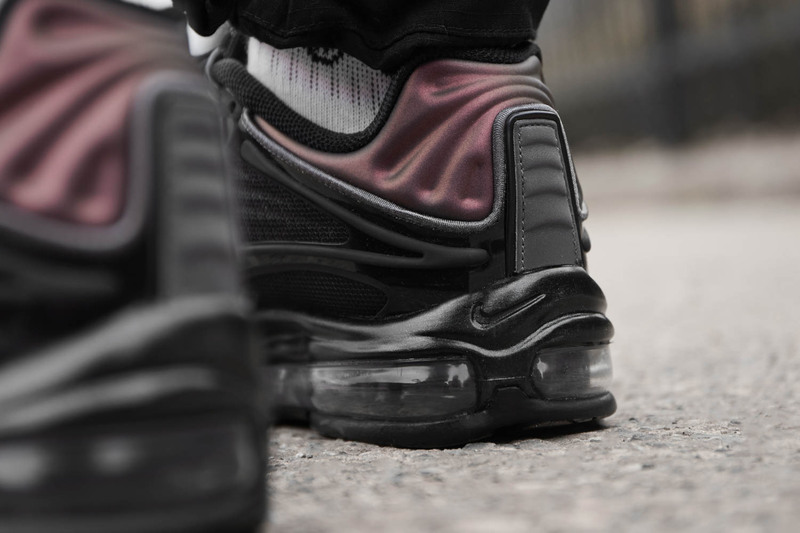 The first is an almost triple black colour-up, with the toebox, midfoot and iridescent heel all taking hues of black, with reflective mid foot detailing breaking up the near monochrome make-up. 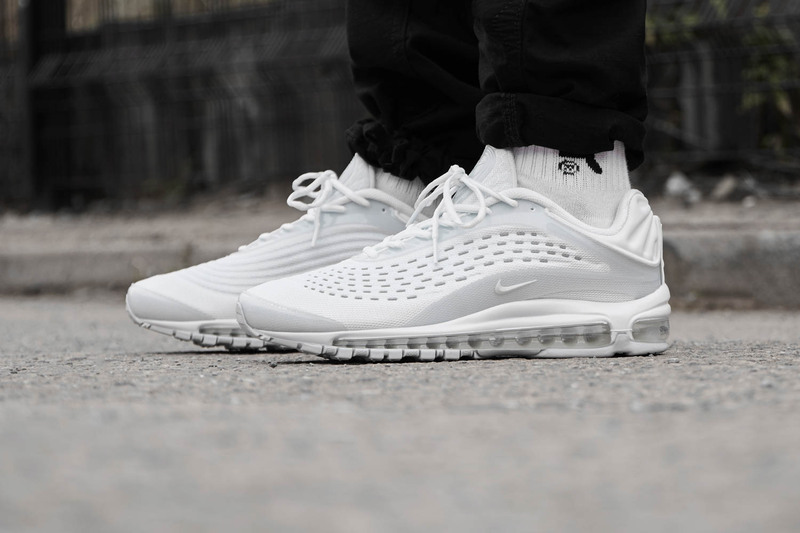 The second iteration is the cleanest of all the releases to date and features a complete triple white aesthetic. 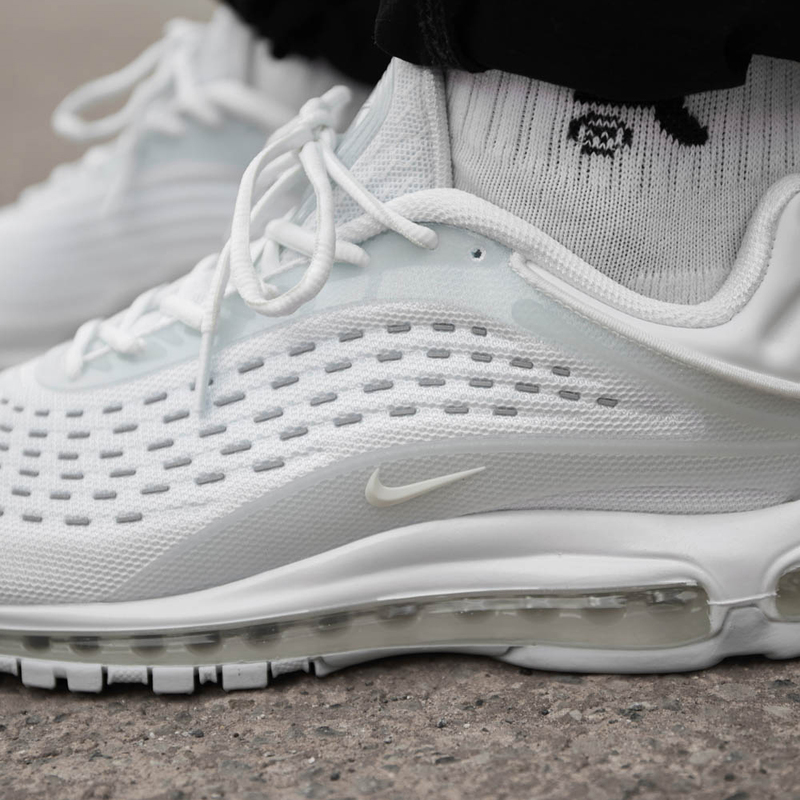 Both colourways of the Nike Air Max Deluxe will be available via size.co.uk and in selected size? stores on Saturday 15th September, priced at £160.